The intended parents’ need for health insurance to cover a surrogate in a gestational carrier agreement is of critical importance. This is because the surrogate’s medical bills are usually the responsibility of the intended parents. Health care costs for complications of pregnancy for a surrogate can easily and quickly reach $100,000. Furthermore, these costs have been known to reach a half a million dollars or more. Without surrogacy insurance coverage, the risk of financial catastrophe for the intended parents, is very real. First, Is Surrogacy Covered by Insurance? If intended parents want to avoid personal liability for the surrogate’s health care expenses, the standard method is to get the surrogate health insurance. Thus, the first issue becomes whether the surrogate’s current policy covers acting as a surrogate. If not, the intended parents may need to purchase insurance that does. What is an Insurance Coverage Opinion Letter for Surrogates? A well-written insurance coverage opinion will contain all policy provisions impacting the issue and an explanation as to their meaning. It will also include a statement of the jurisdiction(s) likely to interpret and to enforce the policy. Furthermore, it should review all court cases of those jurisdictions, as well as the applicable laws of those states. The insurance coverage opinion letter will give a clear statement as to whether insurance coverage exists, or it will state what additional information you need to answer the question. In situations where you cannot give a clear answer, it will explain why the answer is not available. In these cases, it will also give the author’s reasoned opinion as to what a court considering the issue may do. Lawyers that specialize in insurance coverage typically write insurance coverage opinion letters. However, recently, insurance agencies also started providing these opinion letters in the area surrogacy. Intended parents need to make sure they can rely on the insurance coverage opinion letter they receive. Of course you want your surrogate to have health insurance to protect her, the baby and your family. However, it is not always easy to get. If you need a health insurance coverage opinion letter or if you need a lawyer to review a letter you received, please call us. Attorney Eric A. Stovall is a former insurance agent and is now a Nevada surrogacy lawyer. He understands the legalese of these letters from both perspectives. You can call our law office at (775) 337-1444. 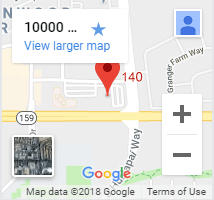 We have offices in Reno and Las Vegas. 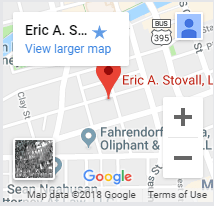 Eric A. Stovall is an experienced Nevada adoption attorney that can address any of your adoption needs for parental rights issues, surrogacy, mediation, termination of parental rights as well as legal matters in business litigation and personal injury. Please contact us for a free consultation.